Renovating or extending your family home? Removing walls? Need more space? It’s an exciting time and Cornell Engineers want to help. Preparation – What do you want to achieve? What you want to achieve? Do you want more living space? Open up a room? 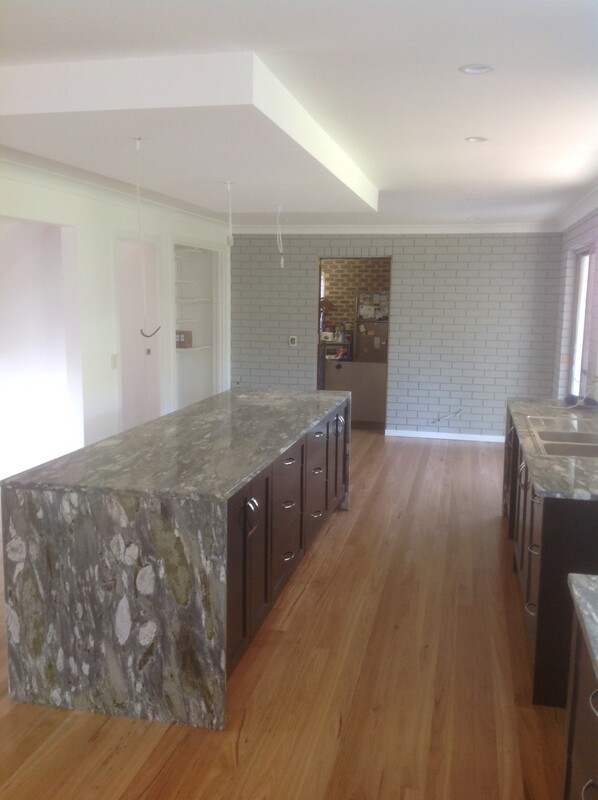 Remove a wall and add an island kitchen bench! A building designer or architect can help guide your renovation decision process. They will define your renovation or extension goals and then present ideas for achieving them. They will also give you advice on building approvals and building regulations. We recommend using a building designer that is a member of the Building Designers Association of Queensland (BDAQ) or an architect that is a member of the Australian Institute of Architects. Cornell Engineers can inspect your property before you begin your extension. We can help identify problems or opportunities for your proposal. Use us to identify load-bearing walls, bracing walls and support points. Let us check and advise on removing or relocating existing columns and walls. We will help you identify solutions to problems such as soft soils and underground obstructions such as sewer mains or electrical conduits. 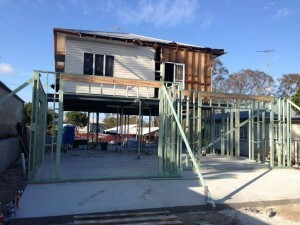 House raise renovation project in progress in Brisbane. New kitchens look great in existing houses. Once your goals have been defined, the formal design process can begin. Your building designer or architect will prepare working drawings. The set of working drawings will normally include a site plan, floor plans, building elevations (side views), and basic construction details. We normally require a soil test and a copy of your designer’s drawings before we can start (but ask us first). Our drawings are then prepared using a drawing program called AutoCad. Our drawings are sent to you as pdf files that are easy to email to your builder and private certifier. When we issue a finished set of drawings, we will prepare a “Form 15” engineer’s design certificate certifying the structural elements that we have checked. Some building designers design and draw the structural elements as part of their design process. In this case, Cornell Engineers simply works with the building designer to make any changes to the structural drawings that we deem necessary. We’ll then prepare and issue a Form 15 structural design certificate. You’re getting closer to starting building! Engage a builder that is licensed for your type of work. Check the Building Services Authority (QBCC) website. There is also information on the QBCC site regarding building contracts, insurance and the complaint process. 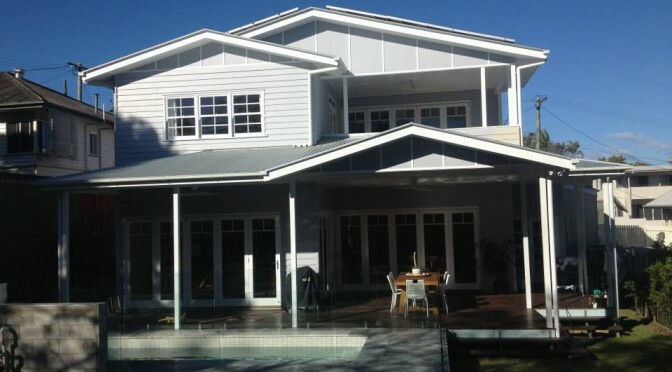 Your builder will compile and lodge the working drawings and engineering drawings with a private certifier. Plans used to be submitted directly to council for approval but now you need a private certifier to do this for you. We work with some great certifiers. Check our links page for a certifier. Certification approval should be received before building commences on site! Once the builder starts on site, Cornell Engineers can assist with inspection and approval of footings, slabs and framing. Check with your certifier to ensure that they don’t need to inspect these elements also. We’re also available to modify our designs or provide verbal advice if something unexpected is discovered in the walls, roof or in the ground. For more information on contracts and building work, the QBCC has heaps of information on building, renovating and buying properties. Refer to this website: QBCC Building and Renovating. Read some handy design guides that might help with your renovation.